While addressing Parliament yesterday, Mr O’Neill said trade and investment between Fiji and PNG was growing, but it could be better. 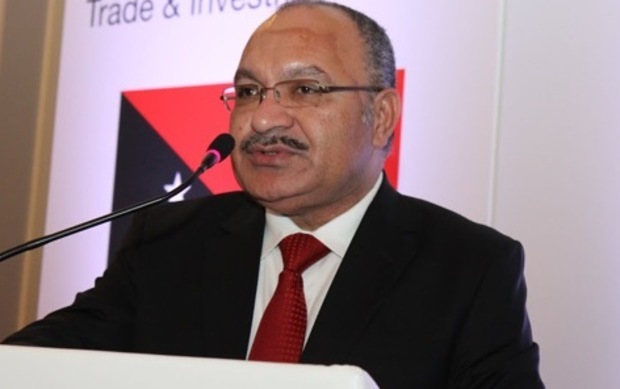 He said Fiji and PNG should expand its free trade and investment which was central to economic development for any nation. “There is a lot for us to discuss and share the experiences we have. So, again we can continue to advance the lives of our people,” Mr O’Neill said. “I would to explore the possibility of a free trade agreement between our two countries so that we can take advantage of these strengths and collective strengths that we have in our respective economies. And with Fiji taking the lead in the fight against climate change for vulnerable nations in the Pacific, Mr O’Neill said it was vital that pacific island countries worked together for the sake of its future generations. He said it was not fair for villages in Fiji and PNG to relocate to other places because of their exposure to climate change impacts. “It’s not fair to the villages in Fiji and it’s not fair to anyone in the Pacific. That is why, it is important that we act together. “If we do not stand up for ourselves, we should not expect other countries to stand up for us. We have to maintain the pressure that we have to apply against industrialised countries so that they can continue to reduce their emissions. “We have to ensure the safety of all communities and the health of our future generation. We are in this together as Pacific brothers and sisters so the rest of the world can take notice of our concerns,” he said.